Nowadays, South Africa is famed for having produced some of the great fast bowlers of the modern game and over the past two decades, the team has hardly ever been hugely dependent on the expertise of a spinner. However, it is also important to point out that the team has almost always played a spinner in the side, irrespective of the venue. On the other hand, before South African cricket was shunned in the era of apartheid, they produced plenty of great spinners and in fact, back in the day, they had even visited England with an attack consisting of three spin bowlers. The modern history of the team may be different but South Africa have had their fair share of good spin bowlers in the past. Here is a look at 5 of the best spin bowlers to have represented South Africa in Test cricket. 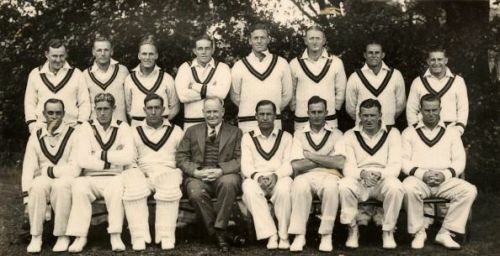 Cyril Leverton Vincent played for South Africa in 25 Test matches between the years 1927 and 1935 and during that period, he emerged as one of the world's most effective spin bowlers. Vincent was a left-arm orthodox spinner and troubled some of the best batsmen in the world with his discipline, accuracy and the ability to plug away tirelessly in order to induce a mistake from the batsmen. In addition to this, in an age when many Test matches used to be 'timeless' in nature, Vincent had the wherewithal to bowl for long periods of time and that was also one of the reasons he was regarded so highly. Vincent picked up 84 wickets in the 25 Test matches in which he turned out for South Africa and recorded an average of 31.32.